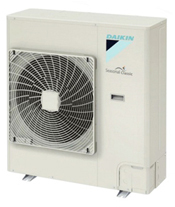 Daikin offers Twin, Triple and Quad Split Systems, where 2, 3 or 4 fan coil units can be served by a single condensing unit, suitable where larger areas are to be kept at a common temperature. Systems are offered with Seasonal Smart >> or Seasonal Comfort Condensing Units, please follow the link for more information. 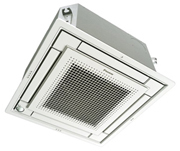 A range of Cassette (FFQ FCQ FUQ), Ducted (FDXS, FBQ), Underceiling (FHQ) and Wall Mounted (FAQ) fan units are available. The price of the condensing unit includes Pipework Branch Kit and Controller. Simply Add the cost of fan coil units to the condensing unit to obtain the system price.